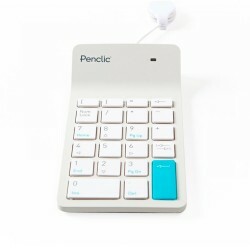 Mini Keyboards - save desk space and type on the go! 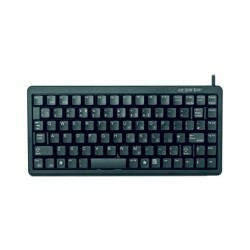 Compact mini keyboards provide excellent portability combined with ergonomic benefits. 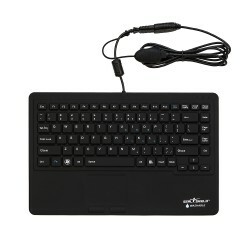 They keep the mouse closer to the user, preventing unnecessary stretching to maintain a more natural ergonomic position. 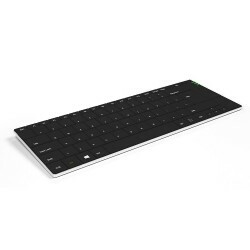 Many of our compact mini keyboards are wireless or have bluetooth connectivity for use on your commute and have the option of a separate number pad which can be placed anywhere on your workstation, saving even more valuable desk space. 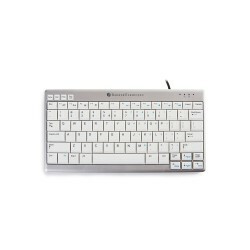 Choose from popular brands including Microsoft, Penclic & many more! We have long considered the standard-sized computer keyboard to be flawed in design as the number pad causes the user to stretch unnaturally with their mouse hand. 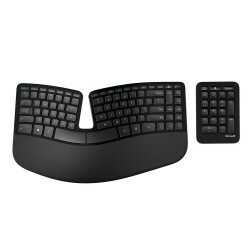 Compact keyboards allow the user to position the mouse closer to the body. 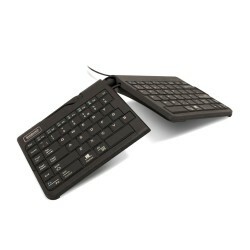 This helps reduce wrist and shoulder ache, and risk of long term injury such as Carpal Tunnel Syndrome. The other obvious benefit is portability. 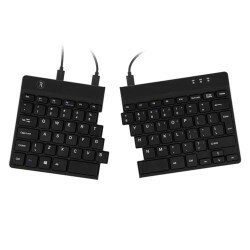 As they are so lightweight and slim they can easily be fitted into a bag with a laptop and then used with a mouse and laptop stand as part of an ergonomic mobile workstation. 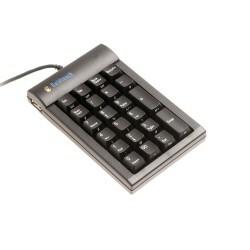 All our compact mini keyboards are Windows compatible. 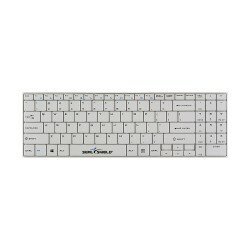 Please see individual products for Mac compatibility, as well as wireless and wired keyboard models. 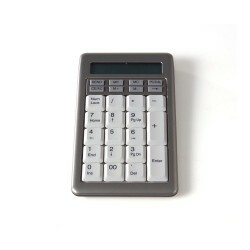 Separate number pad can be purchased if required for numerical-based tasks.